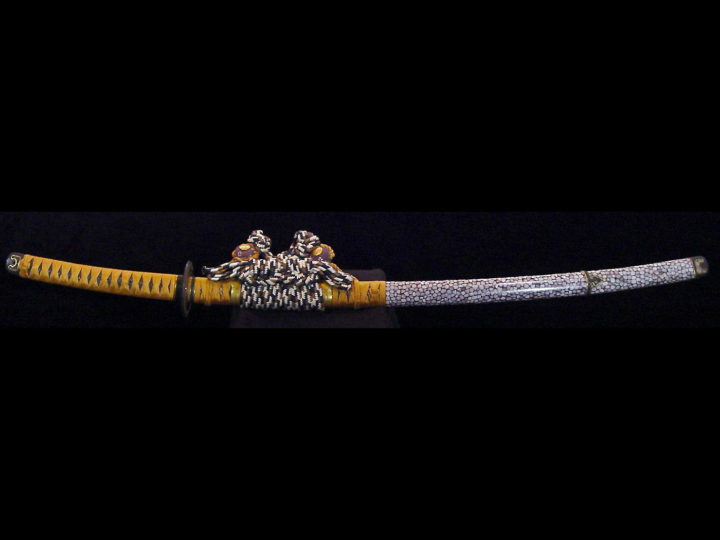 This is a very nice katana koshirae. The theme of the fittings is bamboo and water plants. 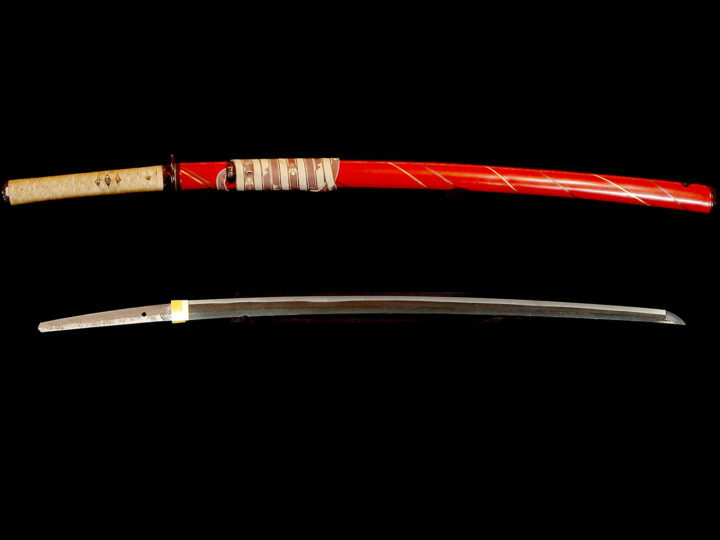 The tsunagi measures 24 3/16 inches or 61.3 cm. It does not extend all the way to the end of the saya so a slightly longer blade would probably fit. 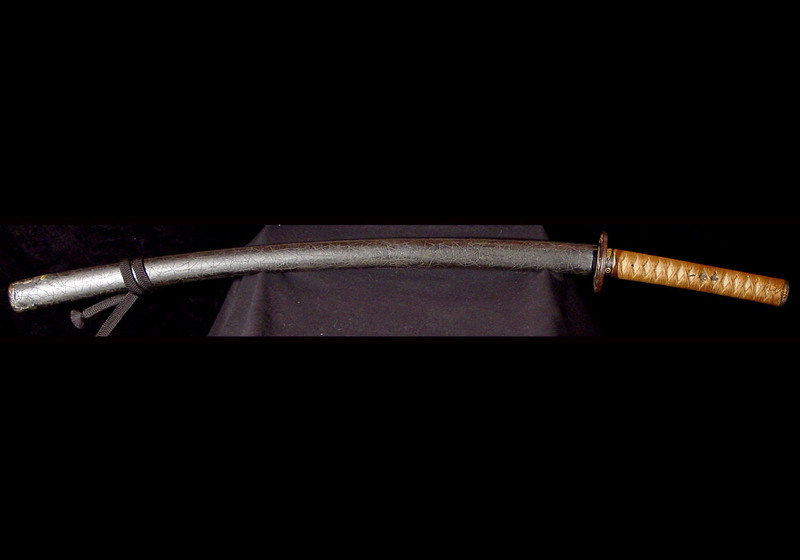 The motohaba is 1 9/16 inches or 2.9 cm. The kissaki haba is about 3/4 inches or 1.85 cm. 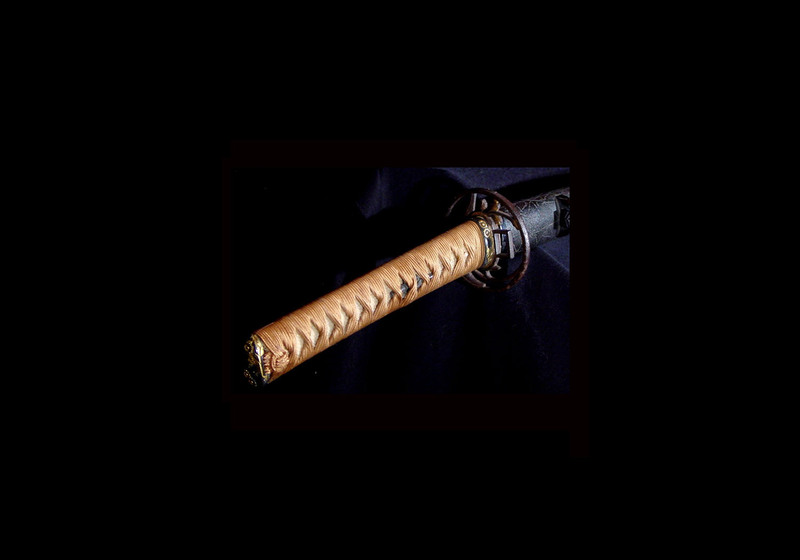 The blade has koshi sori. 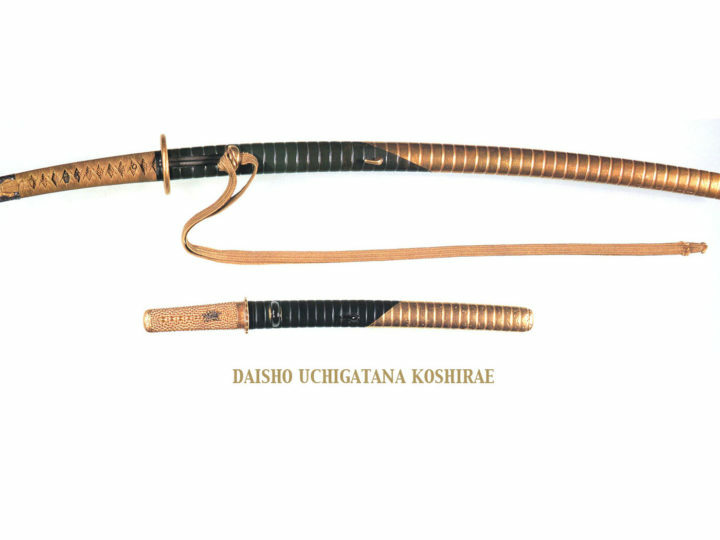 This koshirae would probably be perfect for a Bizen blade, especially a ko-dachi from the Muromachi era. The saya is lacquered in a mottled black lacquer that is very well done. There are a couple of small losses to the lacquer around the kojiri, but they are not bad. 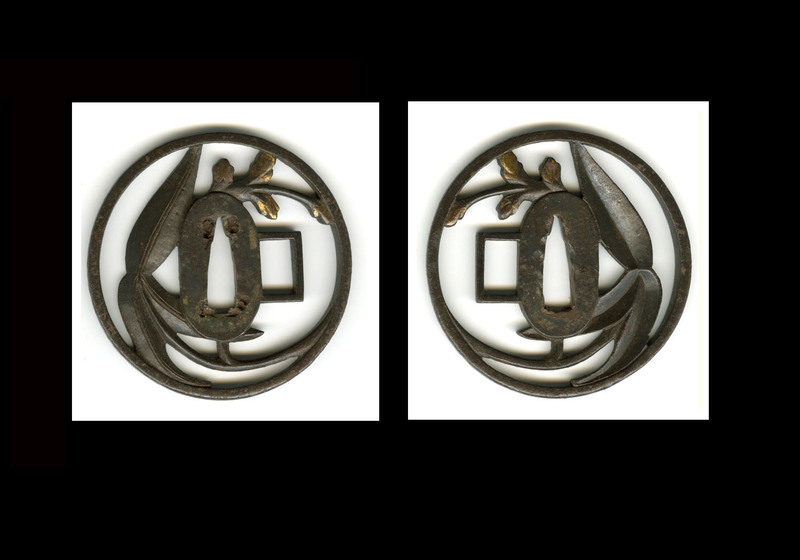 The tsuba is iron sukashi done with a design of water plants, possibly Owari in origin. 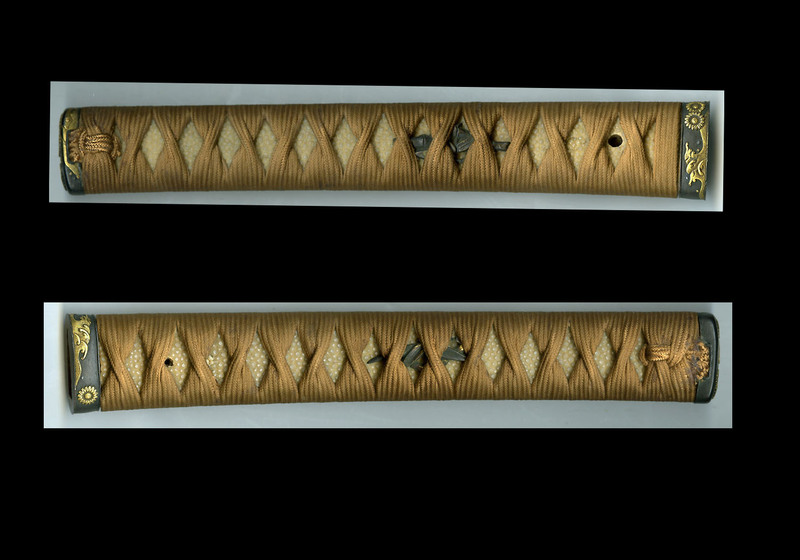 The fushi and kashira are shakudo with chrysanthums and waves done in gold. The menuki are bamboo also done in shakudo and gold. 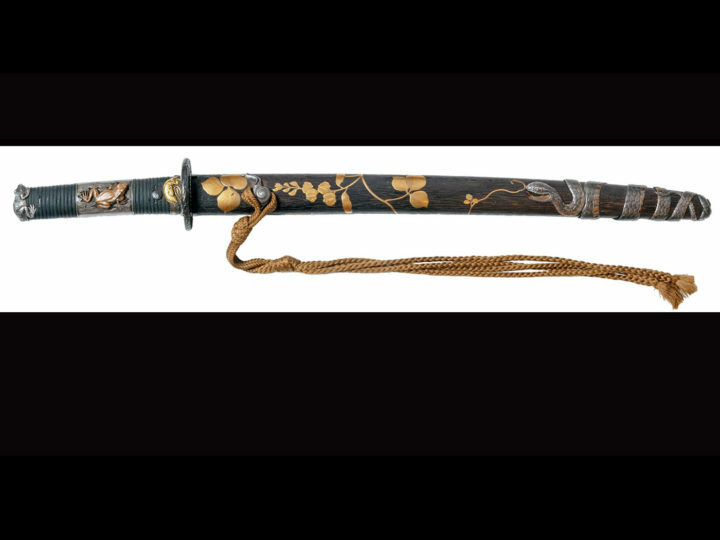 The kojiri is large and done in shakudo with the water plants having gold highlights. 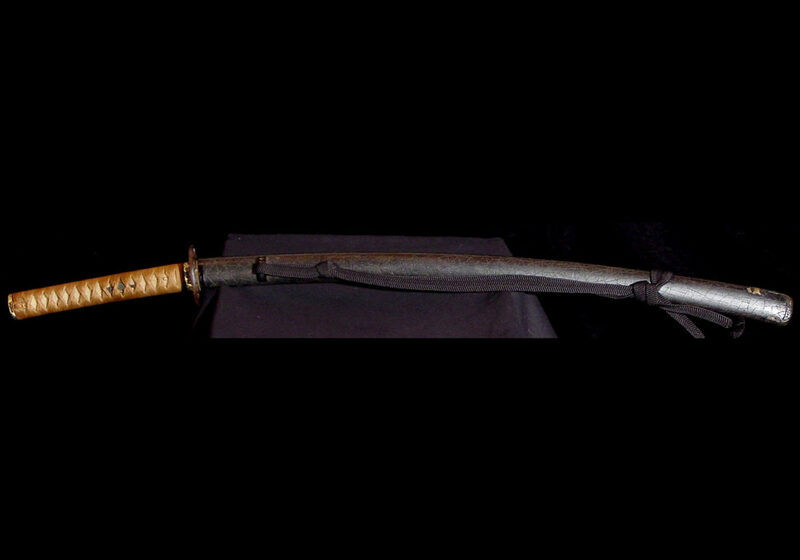 All in all, this is a very pleasing koshirae that once held a very nice sword.